It took a full week, but I finally got my laptop back, and it is working fine again (on top of that it has also been completely cleaned). It is a big relief given the price of these things, but I have to say this week without computer has been a good and productive one. I suddenly had the time to go to places I would have otherwise never been. Like in the Kanda area last weekend, for example. Or like the Kasai Rinkai Park yesterday. This park is easily accessible from central Tokyo via the JR Keiyo line. 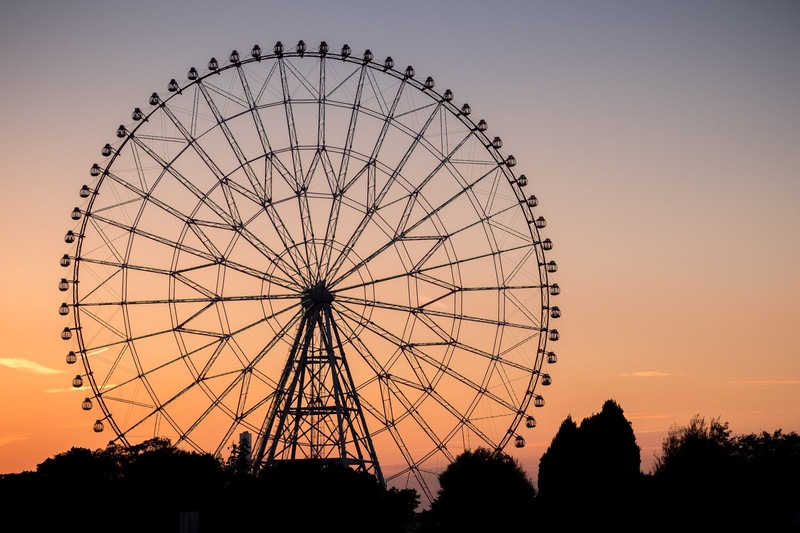 Its main features are the Tokyo Sealife Aquarium, a huge Ferris Wheel and a Sea Bird Sanctuary. There are several viewing spots located around the Sea Bird Sanctuary, where bird watchers and photographers can gather. The longest lens I had with me was the XF50-140mm F2.8, which is definitely a too short focal range in this situation. I will probably come back once the “super telephoto zoom” (XF100-400mm?) becomes available for rent (Q1 2016?). The park is located near the beach, so you will also encounter loads of crabs while you walk around. 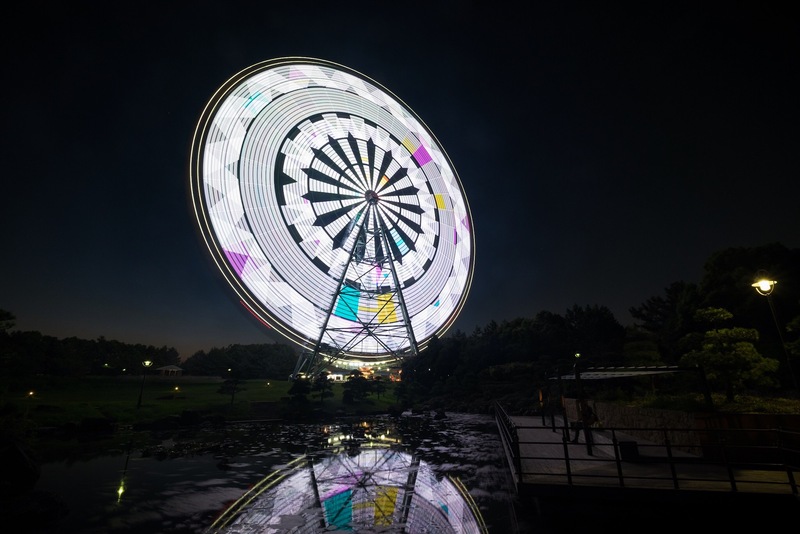 The huge Ferris Wheel is the main landmark of the park, and looks great at night when it is illuminated.